Financing for Tampa Bay and Sarasota, FL Windows and More: Choose the Best Plan and Start Saving! There is no way to place a monetary value on the security of your home, as well as the comfort and quality of life associated with you and your family being truly secure and comfortable in your home. We are a family here, and we understand the stress and importance that comes with certain aspects of life and providing for your family and ensuring your home is a place of comfort and security for you and your loved ones. When you decide to look into new windows, doors, sunrooms, solar energy products, and more, you are making a very wise investment that will pay for itself over time and add value to your home at re-sale. Every penny spent on home improvements will improve your day-to-day living experience all while paying you back in the short term and long term. However, not all home improvements will show the same return on investment. Ironically, some of the most popular updates to your home can result in some of the lowest returns on your investment. 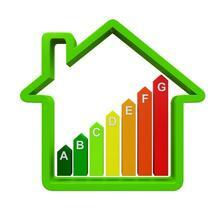 Energy efficiency has long proven to be the LARGEST return on investment when using quality products. Windows and doors have been proven to show up to a 90% return on investment! YES, you read that correctly...90%! From windows, doors, and sunrooms, we can show our customers how to save anywhere from 30-50% on their electricity utilities! Better yet, we are able to APPROVE ALMOST ANY CREDIT PROFILE and get you on the path to your home improvements all without breaking the bank! We understand that not every homeowner has the cash on-hand to make every home improvement they seek to do, so we have worked diligently to offer an array of financing options to fit every customer that vary from 90-Days same-as-cash, 180-Days same-as-cash, to our NO MONEY NOW Programs which include $0 Down, 0% Interest and 0 Payments for up to 18 Months, or $0 Down, 0% Interest and Regular Payments starting at just $40! $0 Down, 0% Interest, and Regular Payments Starting at Just $40! 48, 60, 72, 84, 96, 108 AND 120 Month, $0 down, and minimum monthly payments! We accept all major credit and debit cards such as American Express, VISA, MasterCard, and Discover with no processing fees on ANY size purchase, as well as personal checks, business checks, certified checks, and more. Don’t let the lack of on-hand cash inhibit you from making the most of your home improvements and prevent you from enjoying your home to the fullest. Call us today to find out more about what we can do for you and your family!